I have always been a very musically motivated person throughout my life (although not talented in any way). From a young age, I would fall asleep and stay soundly asleep to the strangest songs (Metallica Black Album). When completing different tasks around the house like cleaning or even homework and studying, I always find myself much more motivated and focused when music is playing around me. 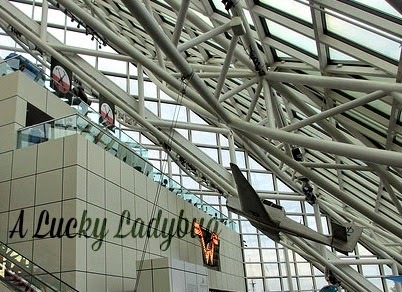 So when I was told I would have the opportunity to visit the Rock and Roll Hall of Fame + Museum, I was beyond thrilled! "Explore the past, present, and future of rock music and culture." Kevin wasn't too jealous of my trip to Ohio until he found out this would be on my itinerary! 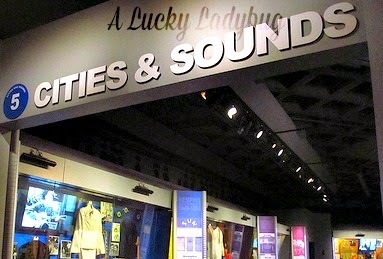 The RRHOF is a constantly updating museum where you can be sure to find your favorite legends as well as the latest trends! I was pretty excited to visit this unique place which has influenced my generation as those before me so tremendously! From the unique exterior to the endless exhibits inside, you can find yourself lost in history for hours. Being one of those people who actually finds zero interest in most museums or historical facts, I found this place special. 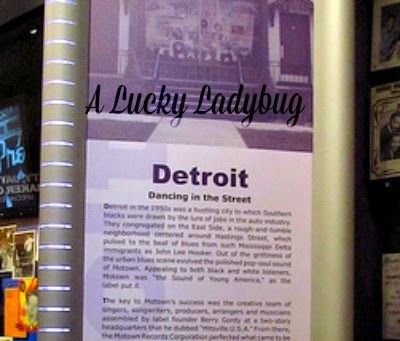 Being from Michigan, I was thrilled to spend a lot of my time in the Cities and Sounds section, reading all about Detroit - Dancin' in the Streets 1962-1971! I also loved the 2014 Inductee Exhibit being that included a few names from my generation finally which I recognized and even still listen to! Besides the endless exhibits, the shopping, films and live performances, there are even free night school seminars, where you can learn the history in even more detail. The trip there was almost overwhelming! I felt as though there wasn't enough time in the weekend to see everything the museum had to offer! 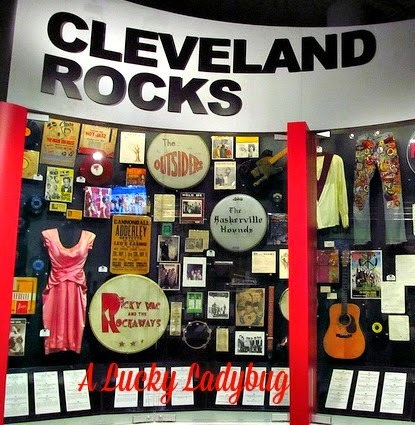 Recommendation: I definitely recommend visiting the Rock and Roll Hall of Fame if you are in or around Cleveland. This may be a bit more entertaining for adults rather than children. So keep in mind you will either want to schedule several short trips or plan for a babysitter if you've got young ones. I thought it was definitely a place I'd love to visit more frequently!